Srinagar: One terrorist was killed during an exchange of fire between security forces and terrorists at the Central Reserve Police Force (CRPF) camp in Pulwama district of Jammu and Kashmir on Wednesday. The terrorist has been identified as Irfan Ahmed Sheikh, a resident of Chakoora, Pulwama. He was affiliated with Lashkar-e-Taiba & was known as district Commander of LeT, stated news agency ANI. The area has been cordoned off and search operations are underway. Meanwhile, one security personnel also suffered injuries due to the splinter in the grenade blast. He has been admitted to a government hospital and his health condition is reportedly stable. The grenade was launched by the militants at an open ground in the CRPF camp in Jammu and Kashmir’s Kulgam region. Director General of Police Dilbagh Singh on January 24 had declared Baramulla district as the only terror-free region in Jammu and Kashmir following the militant attack in which three Lashkar-e-Taiba militants were killed. As per a report by the Kashmir police, at least six grenade attacks on the security forces have been reported between January 10 and January 19. Investigations revealed that the recent grenade attacks on security forces and the state police are the plan of a Pakistan-Inter-Services Intelligence (ISI) terror module that has made available a huge consignment of grenades to the terrorists. In a similar militant attack on December 11, 2018, three policemen were killed and one other was injured after terrorists fired indiscriminately on a guard post at Zainapora area of the Kashmir Valley, stated police. In the incident which happened in Shopian, one soldier was injured and was shifted to a hospital for medical treatment. 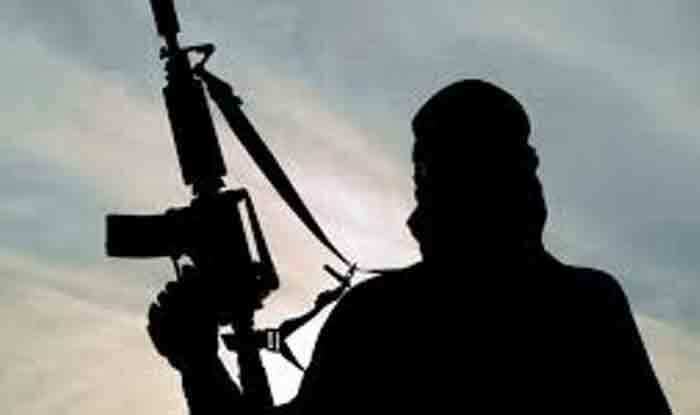 On December 8, 2018, the Kishtwar Police had arrested an Inter-Services Intelligence (ISI) agent Sehran Sheikh alias Abu Zubair on suspicion of formulating a plan to conduct terrorist attacks in Kishtwar. Kishtwar Police stated that Sheikh was gathering information on establishments of the Jammu and Kashmir Police, armed forces and the Army.